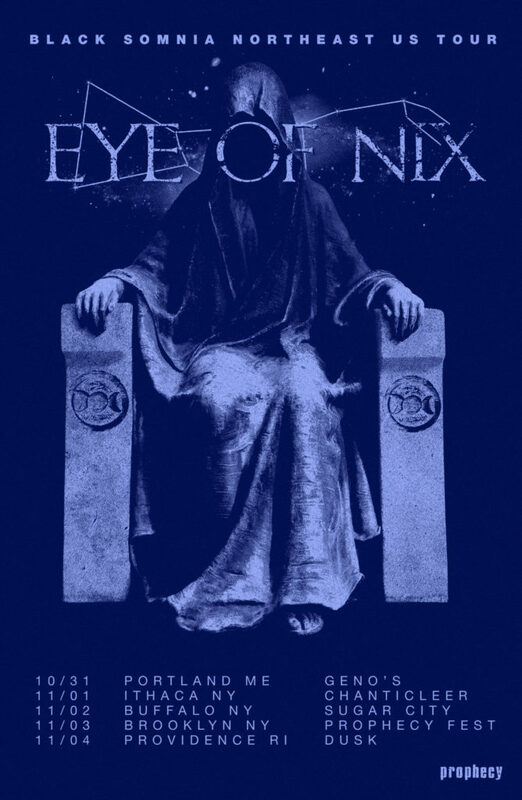 In conjunction with the signing to Prophecy Productions and re-release of Black Somnia, EYE OF NIX will bring their enigmatic psalms to East Coast stages next month. The mini tour will begin with a warm up show in their hometown of Seattle October 18th before heading to Portland, Maine on Halloween. From there, the band will make their way through New York, Rhode Island, and Washington for five more shows including an appearance at Prophecy Fest at The Knitting Factory in Brooklyn, New York November 3rd alongside Alcest, Xasthur, Kayo Dot and more. See all confirmed dates below.